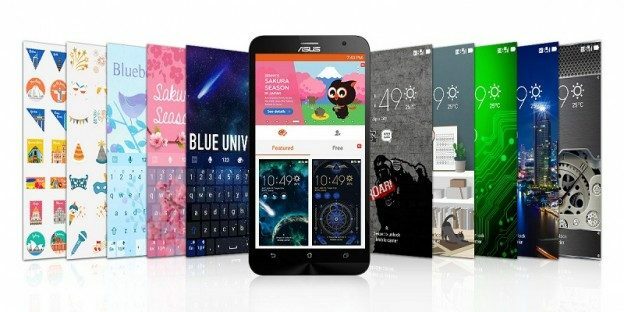 ASUS ASUS recently retained to the main house ZenFone series phones ZenUI Desktop (Launcher), open to all the above systems running Android 4.3 Android devices. This desktop function despite some complicated, but still to focus on customized theme, as well as many small and delicate intelligence capabilities. This is designed not so close to Google Material Design's Launcher, contains the traditional two-tier Android Desktop (one of which is App drawer), and the like iOS monolayer wallpaper two management choice (but also the elderly and children mode mode ). Appearance of the desktop, there are many fine customization of space with a variety of themes, such as "shoe cat swordsman." ZenMotion also ZenUI core characteristics, can be on the phone screen gestures, quick start different functions or App, such as V & Videos open the phone App, or double-click the wake up the screen. 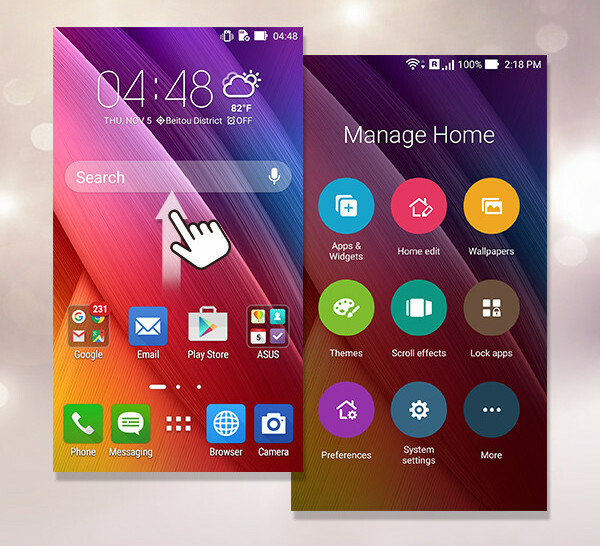 Under the surface appearance, ZenUI also in possession of many relatively small feature detail, for example, slide open squares on the desktop interface similar to the control center, including setting wallpaper, system settings, select the theme of the project, including the transition animation, and if the drop-down screen, you can enter the search page. In addition, ZenUI also an interesting little feature can be categorized by smart, automatically organize App similar properties in the same folder. 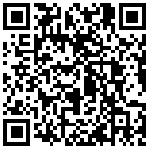 Users can also download a number of different wallpapers, themes and icon package from ASUS store, and even resize the App icon, or directly to the App hidden. It is worth mentioning that ASUS has introduced a feature called Zenlife of Beta ZenUI, a similar HTC Blinkfeed newsreader tool. Although Zenlife about three months after coming into history, but in fact it can also explain the move for ASUS ZenUI function though somewhat learn from the experiment, while not enough focus on in-depth, but from simple OEM hardware of thinking, to operate in thinking on the system software integrated user experience. According to market research firm Trendforce expected, Asustek will be projected annual growth rate of 34%, 2,150 ten thousand mobile phone shipments, surpassing HTC become the leading mobile phone factory in Taiwan. The flagship HTC HTC at 10 production only 1 million or so in 2016 overall production capacity will be the only 13 million, the annual decline of 27%.